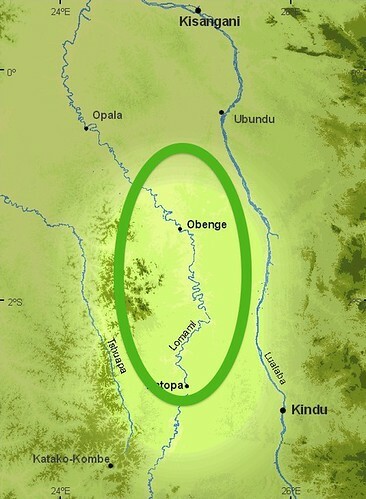 …is from between three rivers, the Tshuapa, the Lomami, and the Lualaba, that spill-out from the most unpopulated, unknown tropical forest core, into the center of Africa. We call the area TL2, from the three rivers coursing north. 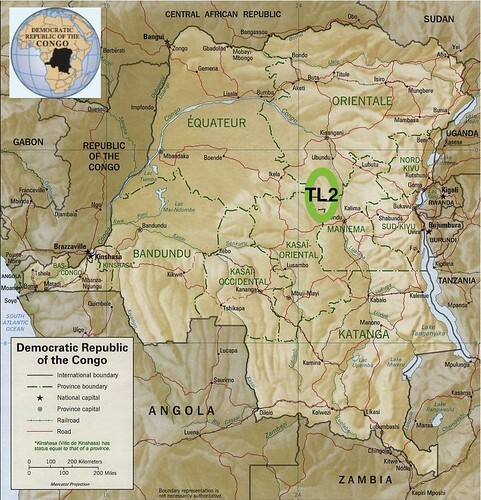 The large forest tracks of TL2 remained unknown at the beginning of the 21st century; we were the first to explore them. 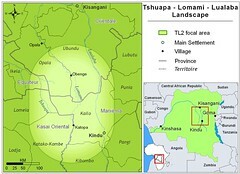 Our maiden expedition up the Lomami by dugout was in 2007. 1. Exploration __ we surveyed more than 40,000 km2 by walking more than 5,500 km of compass directed inventory tracks through the forest. In this wilderness we found bonobos, okapi, elephant, and Congo peacock. We even discovered a new species of monkey. At the same time we discovered how precarious it all was, an uncontrolled bushmeat trade fed insatiable distant markets. How can we protect a large forest before the animals are gone? training _of local people and students to protect, monitor and promote conservation. 3. Discovery__ by keeping a constant, inquiring and vigorous presence on the ground and by encouraging the visits of outside experts, discovery is a constant part of the TL2 project. Terese and John started the project with a handful of experienced Congolese with whom they worked in other forests around the country. More and more local people are trained and part of the teams. We welcome researchers local and foreign. Read more about the team members and our project reports. Curiosity was the first reason, soon replaced by wonder at what we were finding and urgency as we learned how quickly it was being lost. We need your HELP. Here is how. Our first sightings of bonobo, quickly showed how important the area was. The further south we went, the rarer and more isolated the villages became. Although the people were wonderful it was clear that the north of TL2 had been hunted out. Even if they are scattered, the local people, who claim the land, must agree to conservation and conservation poorly thought out and poorly presented can turn locals against all conservation measures. Ashley’s first encounter with the lawless maimai colonel who later was arrested introduced him and the project to the challenges of TL2. We had not gone far before we realized that the hunting of bonobo for bushmeat was also a real problem. The problems are compounded by the greed of outsiders and the uncontrolled used of shotguns for hunting, even at night with bright head lamps. We contacted top administrators in Kisangani, Opala, Kindu and Mbuji Mayi. Slowly progress has been made. But it is clear that the pressure must be maintained. Join us as we work towards a goal of protected area with true protection for bonobo, okapi, all primates, and elephant in the TL2 forest.